Ancestors, relations and anything else! 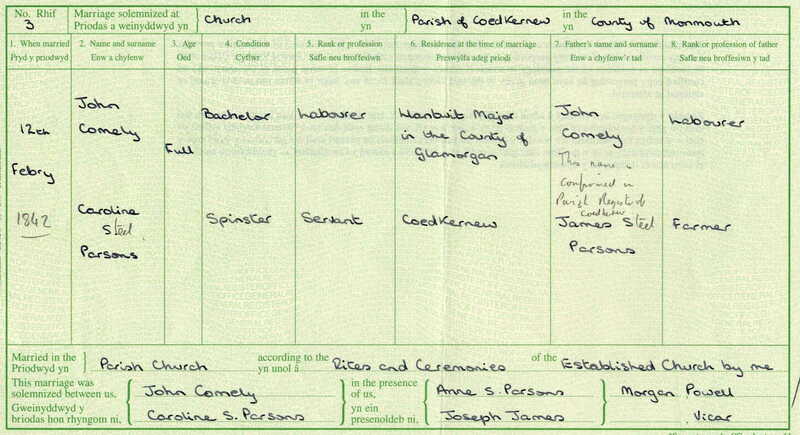 Anything connected to my own family history, and not involving COMLEYs is now being moved to a separate page, here. I have started a re-design of my website with (hopefully) improved navigation (but no flashy whistles and bells) and it can be found here. 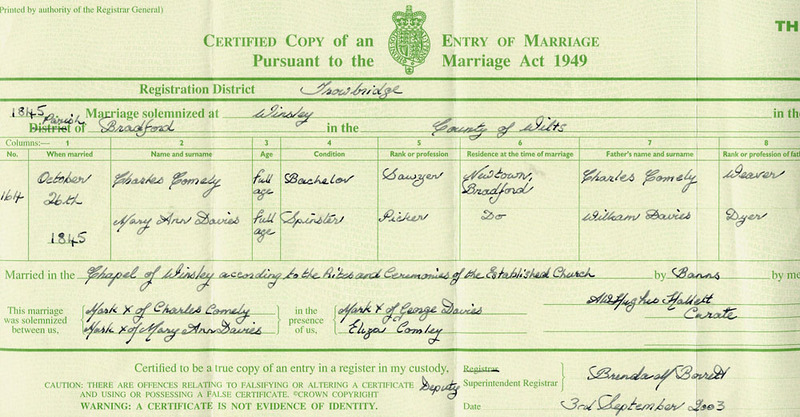 I am researching the Comley family and variations of the name. 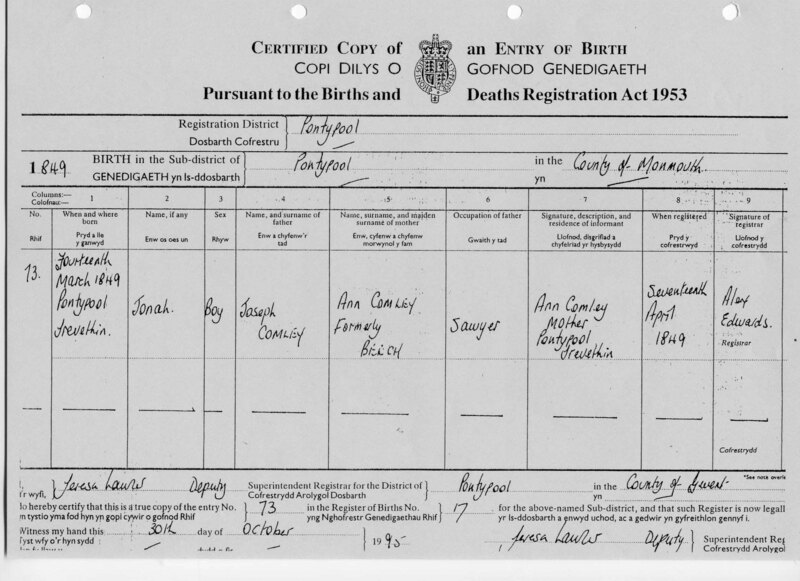 This branch of my family (my mother’s maiden name was COMLEY) seem to have originated in Wiltshire but there are other areas nearby, in Gloucestershire and Berkshire/Oxfordshire with large numbers of COMLEYs. 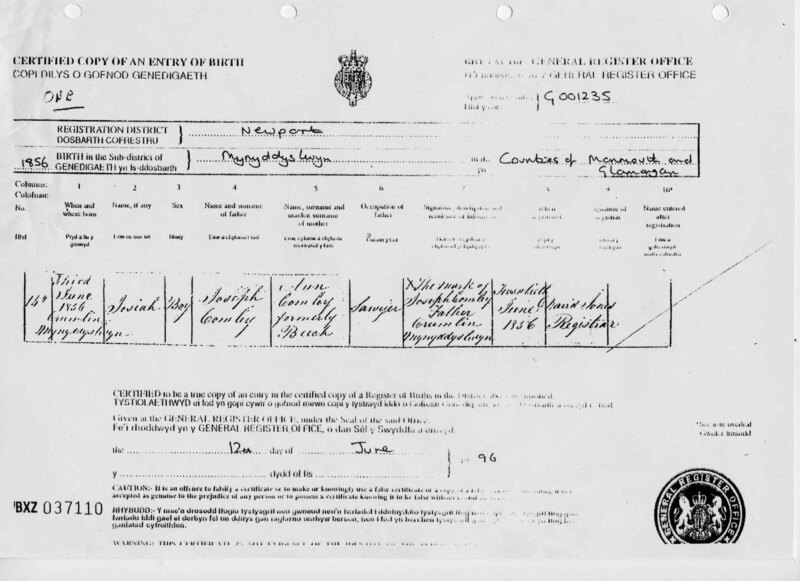 I was told by my mother that her surname was spelled as COMLEY, and not COMELY, as a corruption of Cholmondeley (pronounced Chumley), but looking back at records, there is no evidence for this. I now believe that the -LEY spelling is probably the oldest, but some branches became -ELY simply because of the way it was recorded by priests and later, registrars. 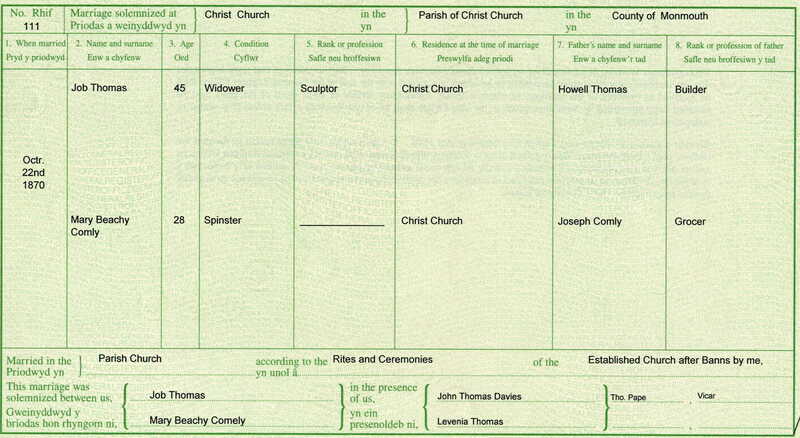 The name has been found as COMLEY, COMELEY, COMELY, COMLY, COMBLY and even (on a birth certificate as the father’s name) CRUMBLY! 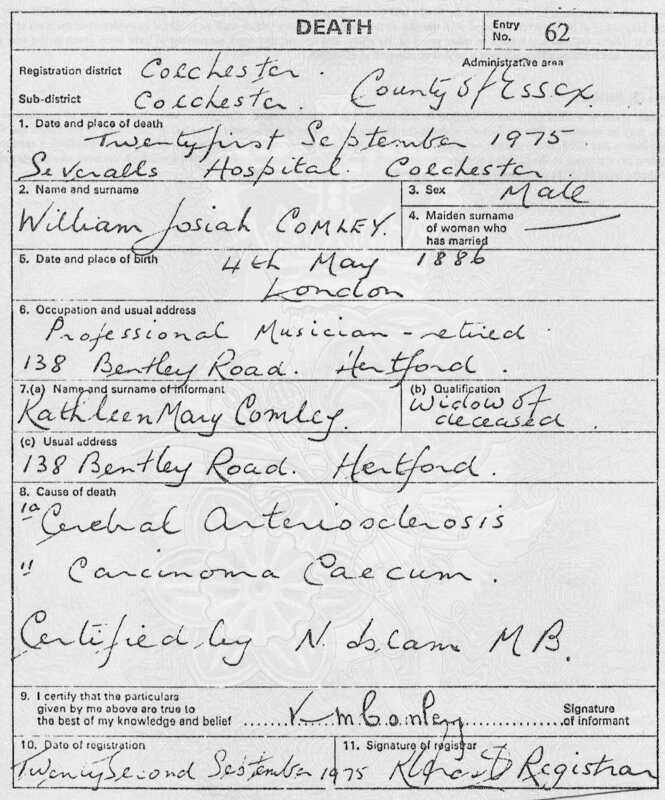 There are even more transcription errors, including, commonly, CORNLEY – an obvious mis-read of rn for m.
In Hampshire, the name seems to have changed to COMLAY in the first half of the 1800s. More on this can be found at Bob Comlay's website. 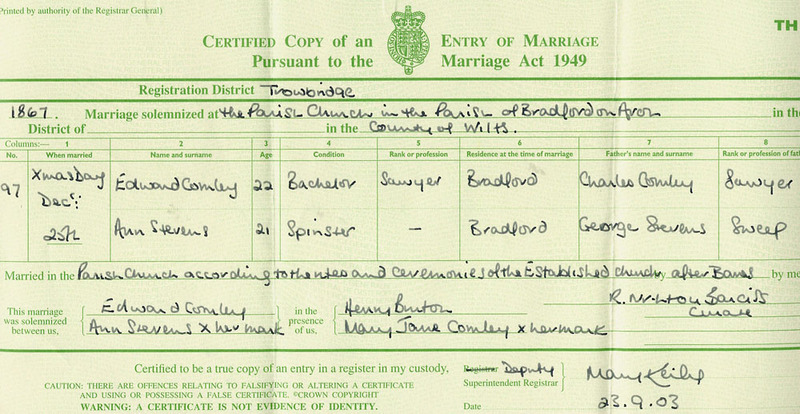 What does the Comley name mean? English: habitational name, probably from Comley in Shropshire or Combley on the Isle of Wight; both are named with Old English cumb ‘valley’ + leah ‘woodland clearing’. As I have found no COMLEYs originating in Shropshire, and only one reference (a will) on the Isle of Wight, the above should be taken with a big pinch of salt! Manor of Elmington in Henbury, Gloucestershire. Title Lease 1) William Champeneys of Aylminton' 2) Edward de Leye two acres and four strips (seillones) of land of which one acre lies in the `cultura' which is called Emenhulle between land of William fitzWarun and of Thomas de Bradewelle and one head extends to the land of lord Richard de Greynvile at Hulkestede and the other to the meadow of Aylminton' and one acre lies at E---brygge ? between meadow of lord Richard de Greynvile and of William fitzWarun' and land of Robert de Bradewelle and one head extends to land of Nicholas de Berewyk' and the other to land of lady Simonda de Oldebury and the four strips lie in the field of Cumptone between land of Nicholas de Berewyk' and of Torephym de Aylminton' and one head extends to the wood of the said William Champeneis; to hold for term of his life paying annually to Wm. and his heirs 2s. at the four usual terms. For this grant Edward gives 7 marks of silver. Clause of warranty against all men and women Witnesses: Robert de Comley Thomas de Styntescumbe Thomas de Amby Nicholas de Berewyk' Walter Randulf of Cumptone. Nearly all the names given are in the form 'Someone of Somewhere' so is Comley a place somewhere in what is now North Bristol? It is possible that it is what is now known as Coombe Dingle. Was this once known as Coombe Leigh, reduced to Comley? If anyone has any suggestions, let me know! Otherwise, the earliest references seem to be Gloucestershire, with Wiltshire (and an area near the Gloucestershire border) coming next. Where I have found extra relating to specific individuals, there will be links to them. Music - James wrote the tune 'Malmesbury Abbey' used for A&M Hymn 'Six Days of Labour now are past'. Front of photo Back of photo. The Canadian Government has scanned, and published on the web, the attestation papers of most of those who signed up for the Canadian Expeditionary Force in World War One. Both front and back of the papers are shown. Gedcoms files are loaded on WorldConnect. There should not be any living persons shown. Click for my Comley Gedcom on WorldConnect site. This has all Comleys, with the exception of those related to me, that I have found so far, with descendants. 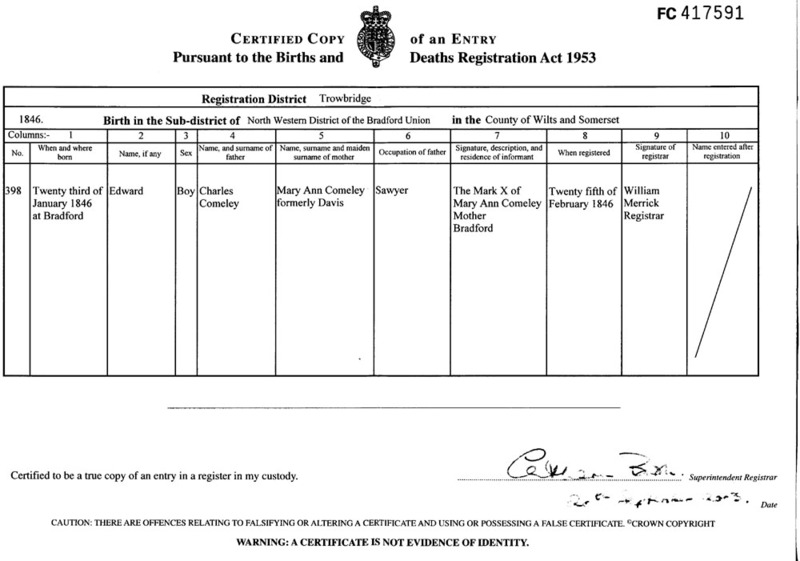 There is a mailing list for the discussion and sharing of information regarding the Comley surname and variations in any place and at any time. To subscribe send "subscribe" as both subject and message to (mail mode) or (digest mode) or use the buttons above. You are unlikely to be inundated with e-mails from this list - it is fairly quiet! An archive of previous messages can be viewed. 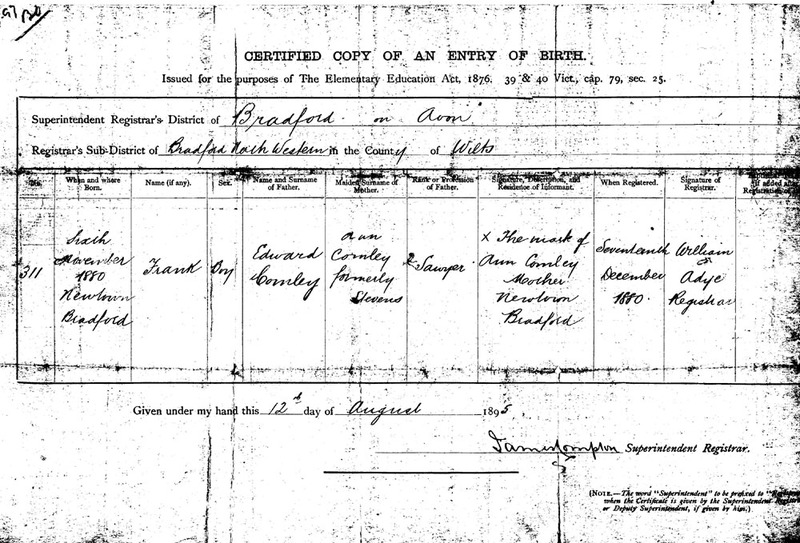 It is intended to include some of my other ancestor details here as well – it may lead to other links turning up and brick walls being demolished!